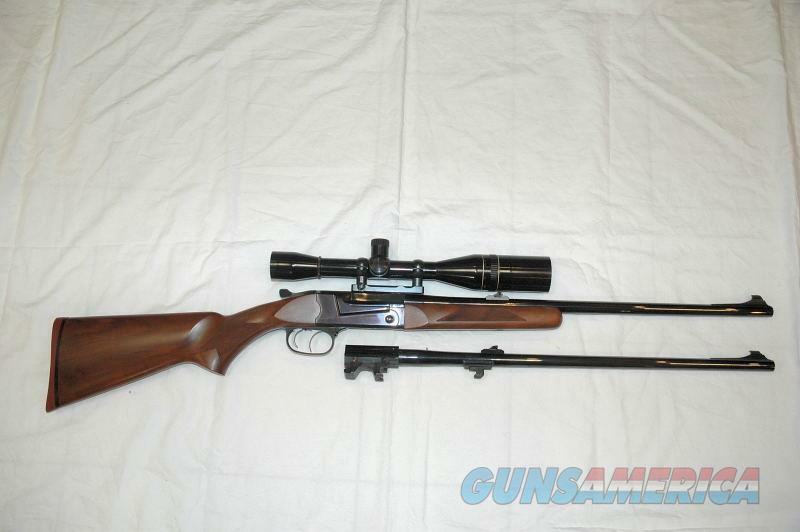 Description: This is an excellent condition Thompson Center model TCR83 for sale with 2 barrels chambered in 223 and 30-06 with 23 inches in barrel length. The bores are excellent on both barrels and the 30-06 has never been used. The finish on the metal is excellent except for a minor blemish on the muzzle crown. The stock is excellent. There is a Leupold 2.5-10x40 scope mounted and bore sighted. The lens shade has a tiny dent in it. This item is for sale in my retail store and could be sold while the ad is active. Please ask for more pictures if needed.